Impact Carbon's work reduces poverty and improves local environments while slowing climate change. We build and support projects that help people access energy efficient cook stoves. We leverage carbon finance and social finance to bring these projects to scale. Impact Carbon supports locally appropriate and commercially viable technologies to ensure maximum uptake and scale. We continually assess new and innovative technologies in order to best address the needs of our customers. Since 2006, Impact Carbon has built programs that have supported the distribution of over 650,000 improved stoves in Uganda and China, benefiting more than 3 million people. Evan leads the Impact Carbon team in developing improved cookstove and safe water projects in less-developed countries. His work has focused on carbon methodology development and assessing and valuing the associated social, health and environmental impacts of development programs. 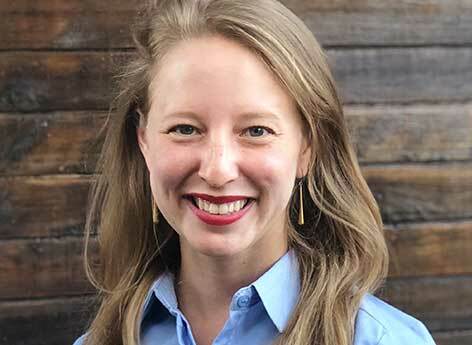 Evan co-chaired the Carbon Finance Working Group at the Global Alliance for Clean Cookstoves and holds an MS in Environmental Health Sciences from the University of California, Berkeley through the Global Health and Environment program led by Dr. Kirk R. Smith. Tim is an international business and development professional with experience in both the private and nonprofit sectors. His skills include market and product development, distribution, nonprofit management, social marketing, project design, fundraising (grant, equity and debt), and strategic planning and implementation. He has served as Chief of Party on several bilateral development projects and has launched social-impact products in multiple countries. He has also built and managed commercial distribution for global manufacturers in over 25 countries. Tim holds an MA from Johns Hopkins School for Advanced International Studies (SAIS) and a BA in Economics and Political Science from the University of New Hampshire. Julie currently leads Impact Carbon and is responsible for country-level project execution, including sales, marketing, operations, and finance. Prior to joining the team, Julie comes to us with experience in both the private and social sectors. Julie served as a Peace Corps Volunteer in El Salvador, worked for Samsung Electronics in their global headquarters in South Korea, and led UC Berkeley's Zero Waste Research Center. Julie holds a B.Sc in Business Administration from the Haas School of Business at UC Berkeley. Katrina manages project implementation, carbon monitoring, and capacity building for Ugandan stakeholders at Impact Carbon. Before joining the team, she worked in management consulting and with the United Nations in New York City. Katrina holds a B.A. in Political Science and Journalism from the University of Wisconsin – Madison. Moreen manages client accounts and customer service for the institutional stoves project. She also leads carbon monitoring and evaluation exercises. Prior to Impact Carbon, Moreen worked at CIRCODU as a Qualitative Researcher on Translating Research into Action, a USAID funded project in which she was responsible for kitchen performance testing, monitoring and evaluation, and marketing. She has also worked with Nkozi University as an Information Manager, providing technical expertise on capacity building. Moreen holds a Bachelor’s Degree in Development Studies from Kyambogo University. Winnie is the Finance and Administration Manager. She oversees the smooth day to day financial running of the organization, as well as supervising payment collections from institutional stove clients. She has vast experience in the impact investing field as well as in financial regulation and practices. Prior to joining the team, Winnie worked as a Fellow in Kenya and Uganda for the US based microfinance lender-KIVA. Winnie also has also worked for the Swiss Impact Investments Firm; Responsibility Investments AG as a Debt Investment Officer, and with the Central Bank of Kenya as a Liquidity Analyst. Winnie holds a BSc in Business Administration from the United States International University-Kenya, an MSc Finance from the University of Leicester-UK and is also a certified risk professional by the Global Association of Risk Professionals (GARP). Adellah serves as the Accounts Coordinator. Adellah initially worked with Impact Carbon in disseminating behavior change messages, marketing and field data collection. Adellah works on collecting payments from schools in our institutional stove project and recording payment information. Prior to joining the team, she worked with CIRCODU as a Researcher. She holds a Bachelor’s Degree in Agribusiness Management from Makerere University. Sanyu is responsible for the financial day-to-day operations of the office, including cash and inventory management, as well as financial reporting. Sanyu holds a Bachelor's degree in Commerce (specializing in Accounting) from Makerere University and is currently pursuing a professional certification as a CPA. Moses serves as the Driver for Impact Carbon. Moses has extensive experience in transportation and logistical support, having worked in logistics with organizations including War Child-UK, Unifreight Company and Bel-Air. Moses also assists with carbon monitoring projects, works on administrative tasks for the office, and introduces visitors to our work. Impact Carbon is an organization with strong core values and a dedication to its mission. Our team has an ethos of hard work and collaboration, and focuses on building an open and supportive working environment. As an organization, Impact Carbon focuses on the professional and career development of all its employees. We also accept speculative internship applications from candidates with experience in finance, social marketing, carbon asset development, fundraising or communications. Please contact us at info@impactcarbon.org.